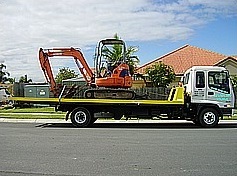 Centenary Towing can transport numerous types of machinery very efficiently. Forklifts, bobcats, excavators, tractors and most vehicular machines even if they are broken down, can easily be winched or driven on our tilt tray to be moved or transported. We excel in transporting stationary machines like lathes, shop fittings, steel benches, generators, folders/benders, industrial saws, extrusion machines and vehicle hoists. Save time and money by employing Centenary Towing. Our tilt trays make loading and unloading equipment time efficient and rules out the need for additional loading equipment which can be costly and require longer wait times. 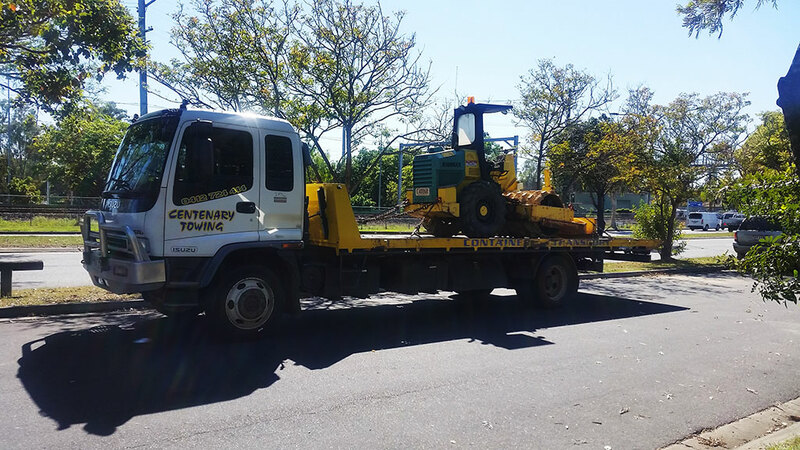 As a leading Brisbane machinery transport company, you can trust Centenary Towing to get the job done. We have nearly 20 years of experience in the industry and can transport pretty much anything efficiently and at affordable rates. 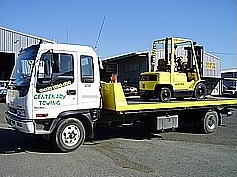 If you are looking for machinery transport in South East Queensland, call Centenary Towing first. We offer free quotes on all our services including, machinery transport, vehicle transport and shipping container transport. Northern NSW is also part of our service area. Centenary Towing only hires qualified machine operators, and we carry all the relevant insurance, so you know your equipment will arrive safely.